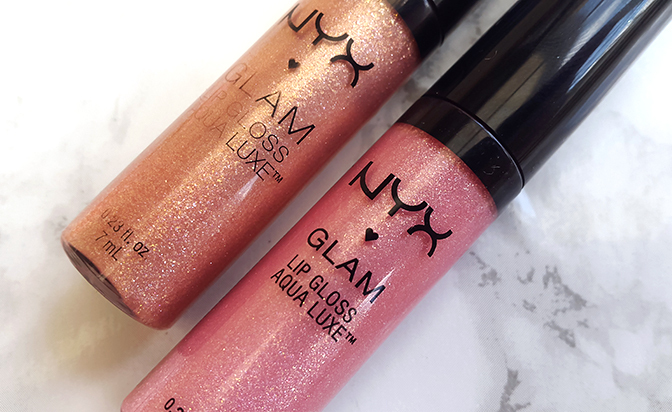 I was immediately drawn towards these glosses because of how gorgeous and sparkling they look in the packaging. 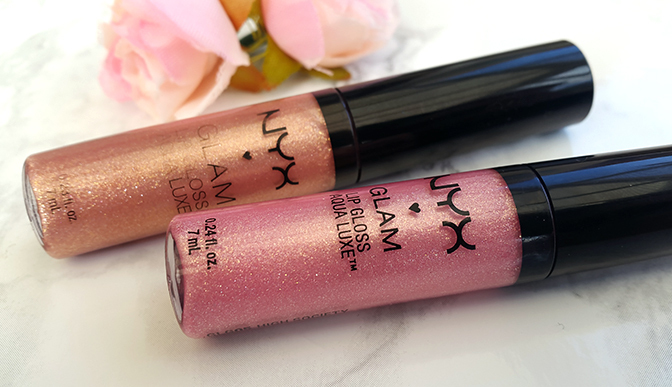 I've always been a lip gloss girl at heart, and if there's one brand I trust to get lip products right, it's definitely NYX. The packaging itself is quite simple - it reminds me of NYX's Soft Matte lip creams, with a transparent tube and a black cap. The glosses come with a large, flat brush which is very easy to work with; allowing for a quick and effortless application. You get enough product in one swipe, although it's easily buildable if you want more coverage. As for the formula, it's completely non-sticky and feels very comfortable when applied, which is definitely a huge plus! These glosses only give the faintest hint of colour when applied, which is expected, but still a little disappointing (they look more pigmented in the packaging). This means that the shades will look different on everybody depending on your natural lip colour, and some of the paler shades may not show up so well when applied. As you can see in the swatches below, VIP gives a slight peachy tone to my lips, whereas High Society is a very pale, soft pink. Both shades are serious glitter bombs, with millions of little sparkles which reflect beautifully in the light. They really give your lips mirror-like shine, which looks great especially when layered over a lipstick. 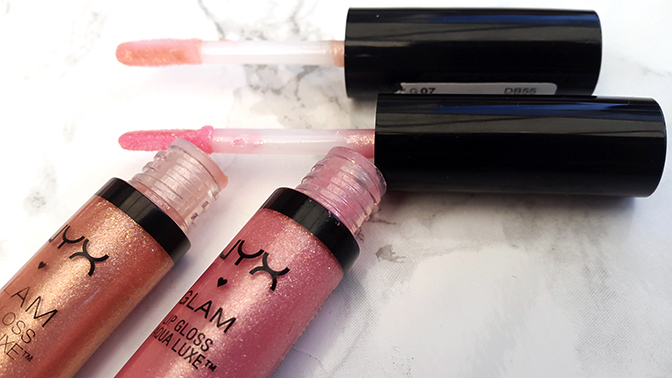 Unfortunately, the lasting power of these glosses is almost non-existent. Because they are so lightweight, they wear off easily (after about two hours max), and don't last through eating or drinking. Another downside is that even after the gloss itself has worn off, there is a glittery residue leftover on the lips. Overall, I'm not hugely impressed with these lip glosses. The shades turned out to be a lot more sheer than I expected, and the glitter might be a little much, even for me! Whilst I love the mirror-like shine they give, they're just too 'sparkly' for everyday wear. The formula is creamy, lightweight and not sticky at all, although it has very little lasting power. I'd still consider this to be a decent, affordable purchase, and I'd recommend these especially if you're looking for a lip gloss to layer over a lipstick.